Have you ever been involved in an internet startup business? If you had, you will know how hard it can be to attract media attention. It’s easy to end up feeling invisible if there isn’t a high profile name involved. Or if you don’t have an instantly recognizable billion dollar idea. To complicate things further, you’ll generally only get a few chances at nailing your pitch. The good news is there are plenty of places that could be interested in your story once you know where to pitch and what buttons to push. Sending a press release to blogs that specialize in interesting startup companies is one way to get your name out there, but often not a good one. That’s because tech-related blogs are a dime a dozen and sending out a press release is often the most ineffective way to get someone to notice your story. What I would suggest is do your research and find a journalist who might be interested in your story. Then contact them on LinkedIn, Twitter or Facebook. Let them know what you like with their stuff, and sell a short version of your story in just a few sentences. Offer them an exclusive or let them think they’ll be breaking the story first. You’ll have a much higher success rate if you can personalize your story. You can help them write the story and the angle once they take the bait. Have your marketing materials ready and accessible: design images, videos, text and special offers with your audience in mind BEFORE you start contacting tech bloggers and journos. Get it right and you’ll be flooded with thousands of visitors from the most read tech journals on the planet. Get it wrong and you’ll limit the way you can move forward with your idea. A favorable mention on the following sites would be enough to kick start any startup, but don’t forget the little guys. A grass roots campaign can sometimes be just as effective, especially if your product isn’t necessarily designed for the mass market. Not everyone will ‘get’ your idea straight away, so focus some promotional energy where you know it’ll count. TechCrunch devotes itself to reviewing startup businesses, new online products and tech-related news. Along with other sites in its network, TechCrunch sees 10 million unique visitors per month. The company also runs a database of tech companies, investors, and entrepreneurs. Selecting “contact” from TechCrunch’s site brings you to a form you can fill out with information about your company, which may be used to create a profile on your startup. Filling out that form does not enter your company into the CrunchBase database as well. That form can be accessed by selecting “Add company,” “Add financial organization,” or “Add person” from CrunchBase’s main page. As one of the most popular tech sites online, it might be a long shot, but you should definitely try. The more original your business idea is, the better chance you will have for success. 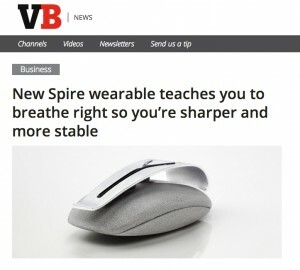 VentureBeat is a technology news site that publishes new tech stories, analysis pieces, interviews, product reviews, and videos. While TechCrunch has significantly more readers, VentureBeat is still a great publication to make announcements with. You can email venturebeat writers at this page. This index of web2.0 applications and services is updated daily to add new startups and disable any defunct links. The directory can be browsed by category, or users can enter a keyword to search for. Site editors choose “Weekly Faves” to recommend, and past favorites are archived for later browsing. It’s free to suggest your business to Go2web20. Just choose “Suggest an App” from their front page and fill out the short form. Go2web20’s staff accepts or rejects suggestions based on their relevance to the site’s audience. You’ve got nothing to lose. MuckRack follows journalists with Twitter accounts and collects their 140-character messages for real-time news. The tweets can be separated out into their respective beats, such as politics, business, technology or arts. This makes the MuckRack front page a touchstone for journalists looking for topics to cover. Choosing “Press Releases” from the homepage opens a window to that area of the site, with a prominent button that says “Click here to submit your press release.” This option allows you to craft a 140-character mini press release that will be displayed on MuckRack’s press release page and tweeted by MuckRack on Twitter. New press releases also appear on Listorious.com. 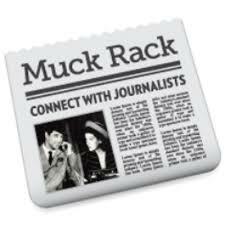 Mini press releases through MuckRack cost $1 per character, with a minimum fee of $50, and can be paid via Paypal. They can include links to your website or a more extensive press release. For the coverage you get, this is an incredibly affordable option. PSFK publishes reports on innovative ideas and new trends in digital, advertising and design fields. Categories included in PSFK’s reach include branding and marketing, electronics and gadgets, fashion, food and drink, media and publishing, retail, transport and travel, TV and film, web and technology, and business. More than a million readers per month from these and other markets visit the site, making it a hub for business interests. This network fuels a supplemental site, www.purplelist.com. Purplelist is a web of creative professionals based on the value of expertise. Members participate in question-and-answer sessions with experts who have been invited to join the discussion, offering another way you can get the lines of communication open. You can send a press release or inquiry to submit@psfk.com. Calling itself “an exclusive Web 2.0 startups review blog,” StartupTunes focuses on new businesses with excellent design, remarkable user interface and game-changing ideas. When determining whether or not to review a website, they consider whether the site is complete, has good user interface, was designed well, covers a significant user base and addresses a common need. You can send in your site for consideration by selecting “Submit New Startup” from StartupTunes’ home page. Be prepared to enter a description of your startup that’s at least 100 words – the site says descriptions should be unique. Entering your startup for consideration is free. Otherwise known as HARO, Help a reporter out lets you pitch your query to hundreds of members, and more than 25,000 journalists. List yourself as a source, or sign up for notifications and jump on any stories that might be running that are related to your product. HARO = Free publicity at your fingertips. As mentioned before, traditional press releases might not be as effective as building deeper relationships with influential tweeters or bloggers like BusinessBlogs. Identify the most-followed voices in your field and send them plenty of useful resources, messages and information prior to touting your startup.They’ll be more likely to pay attention to your message and be more inclined to point their followers in your direction. Can be just as effective as requesting media coverage. Some startups have been successful this way without ever sending a press release. Rewarding new members for inviting their friends (like Dropbox have done), or running an online event with incentives for mentioning your business, are tactics to consider. Should always be custom-tailored to the person or media outlet you’re sending it to. Read a little of the blog’s history to get a handle on exactly what kind of projects they’re looking to cover. Rework a few lines of your press release to highlight areas of your business that satisfy the angle most appealing to the specific writer you’re sending to. Don’t be afraid to use a few lines of the introductory email to feature these points and make a relevant connection with the writer. Journalists receive reams of press releases, and with each company vying for attention, every little bit of extra personalization you can factor in will make a big difference. Sites like MuckRack can be quite expensive for startup founders or those with a small budget. A media database such pressfarm is a fraction of the cost (https://press.farm/) and offers additional services like directory submission. You should also check out Startup Buffer: https://startupbuffer.com to promote your startups. Are you a startup entrepreneur,looking to promote your business, product marketing, get in pr ,funding, media coverage,get feedback. Submit your startup. 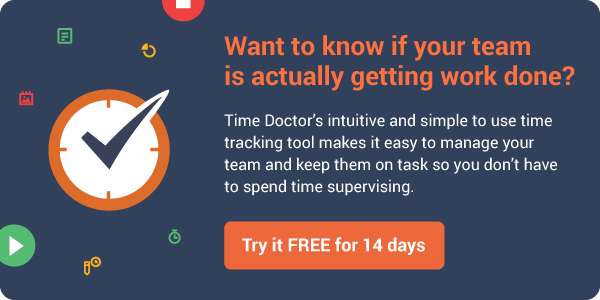 I’ve found http://reddit.com/r/startups to be an active place for promotions, I’ve used it for couple of my startups. If you don’t fancy submitting all by yourself, you can even use one of the many Startup marketplace like http://launchtoast.com which has some plans for Press coverage. Thank you Rob for your help. I’m try to spread my new project of Turism Artizans https://tourizan.com (a new way of travel). http://www.mydailystartup.com lets you promote your startup to tons of other startups. This is really helpful if your product is B2B. Thank you for your help ! And thank you for giving new start up a way to promote their business. Hey Guys, great way to promote startups – Btw I think Go2web20 is now offline feel free to correct me! Thanks for this valuable information, Rob! We have also a project called Startup Buffer Directory. You can also submit your startup here to get more exposure. We have a large number of followers over 50k+ to promote your site. We are committed to give you more extra coverage by taking a premium option. If you want to search for fitness centers near you then http://www.UseOwl.com is the portal to hit. It lists 1000s of fitness centers along with ‘Free Trial Session’ on your chosen center. I want to ask what venues a mobile app developer can exhibit into it, to meet the industry key players. Pretty great places on the list. Do check it out and share your feedback. Thanks! Great list – don’t forget http://www.StartupCatchup.com for easy and quick submission and guaranteed exposure! Suggest – FoundersClick – Enables connections and networking for those interested in the startup scene. Entrepreneurs can post profile and active resource requirements. Startups can introduce their ventures and gain eyeballs. It is an ecosystem for all startup professionals and is gathering steam. I think the best places to get publicity for your startup, are places with a large community, who can give you feedback and traffic. I would check Reddit or Talksparks. You can go to TalkSparks.com/internet and share it with the community. Nice infos, and very helpful – thanks! Well I guess I don’t have to spend the weekend firgiung this one out! They seems to have quite high standards though. Thanks very much for this article. Getting tech bloggers or journalists to develop interest in your product so they can spread the word out is quite a challenge. It seems you’re probably better off doing a grassroot campaign and let them notice you from there especially if you’re in a very competitive market. http://www.publicityx.com is a site focused on announcements for b2b startups. It’s a self-serve model with a quick review cycle. And it’s free! Excellent article and really helpful. Thanks for the awesome article, it was helpful. I also think it is a good idea to submit your business for a free review at startupwzz.com or killerstartup.com or you can pay small fee for speedy review. Great suggestions. I also find that reaching out to reporters directly that write about your specific topic gets responses. Look at the articles that you read and research the writer/author and send them a note. Start a dialogue with them and follow-up. Particularly, their Gallery Ads feature..Allows you to design your own ad and capture the attention of the visitor visually, like a banner ad would. Very interesting post, you’ve miss also Marsjobs.net to promote startups! Nice list! There’s also http://submityourstartup.com which provides a submission service. Or you can just check out their submission list and do it yourself! You can also add in http://www.marketingextremist.com/ as a source to submit a startup or smartphone app for a review as its also giving out latest innovation news to the early adopters. Hope it will be a great inclusion for the startups in their list. Thanks for the ideas, i will try all of your suggestions. Startups could also look into tapping tech startup communities like Launching Next. That’s just one example, but these communities have thousands of users interested in hearing about promising startups. Just one tip: Never pay for any service that charges a fee for inclusions/submissions. 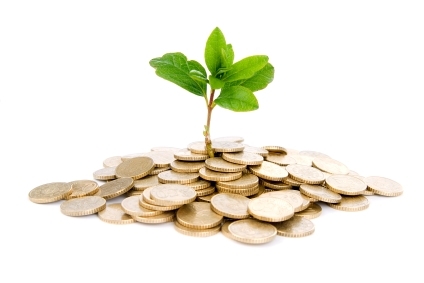 Save your money for more efficient marketing campaigns. You’ll want to also look into communities that send news about new startups to their users. LaunchingNext.com is one example, but look around for others too. And don’t ever use a service that requires you to pay to be included, otherwise it’ll just look like an ad. MindCron is gaining popularity in open space of technology and entrepreneurships. Where you can publish press release for new startups, Upcoming technology. Business Articles, review, CEO talk and more on http://www.mindcron.com (A reputed blog for startups) for absolutely free in better way….